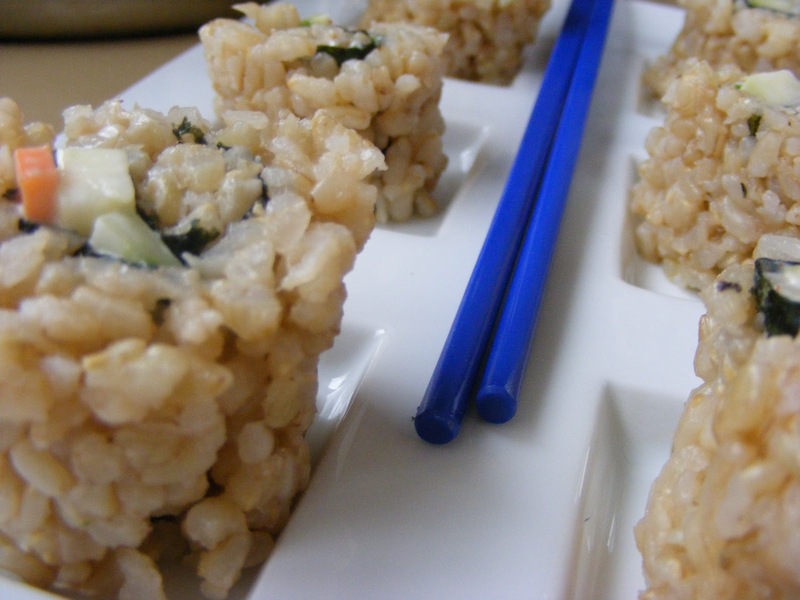 Brown Rice Sushi is delicious but you can't make it without the sushi rice. This task was daunting to me till I decided to Google it one day and found two different websites on making brown rice and sushi rice. They both didn't quite fit the amount of sushi or the kind of sushi that I wanted to make but combined together, I found the recipes to work great! Start with a short or medium grain brown rice. 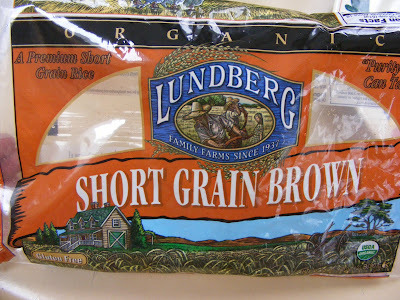 A bag like this is about 4 cups and the recipe I had was for 5 so I adjusted the recipe to 4 cups rice and 6 cups of water. Sorry for the awful, awful exposure on the picture. It looks like I took it in the 70's! 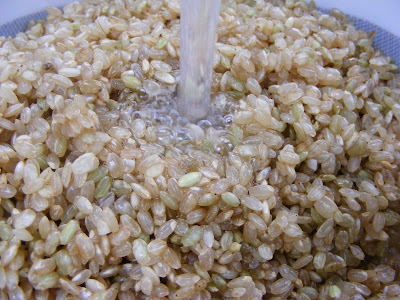 Anyway, you need to soak the rice for about 1-2 hours in the 6 cups of cold water. This helps the rice cook evenly. Give it a stir half way through soaking time. Now you make the Su (or Zu) which is rice vinegar, a sweetener, soy sauce. 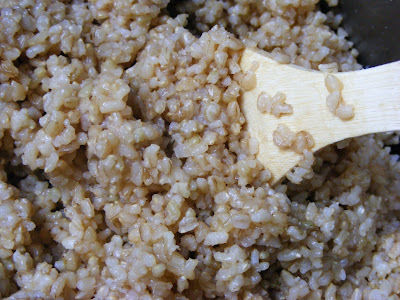 In a separate bowl, mix 8 Tablespoons Rice Vinegar and 8 teaspoons soy sauce. I also squirted some agave nectar in there. 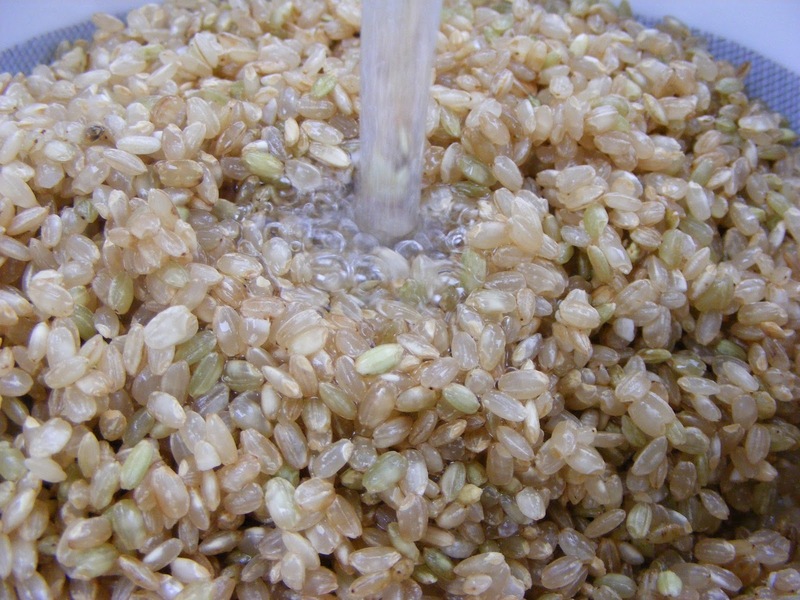 The traditional Su is made with sugar which helps it stick and gives it a sweetness. Now you have real SUSHI RICE! Aren't you excited? I'm hungry. 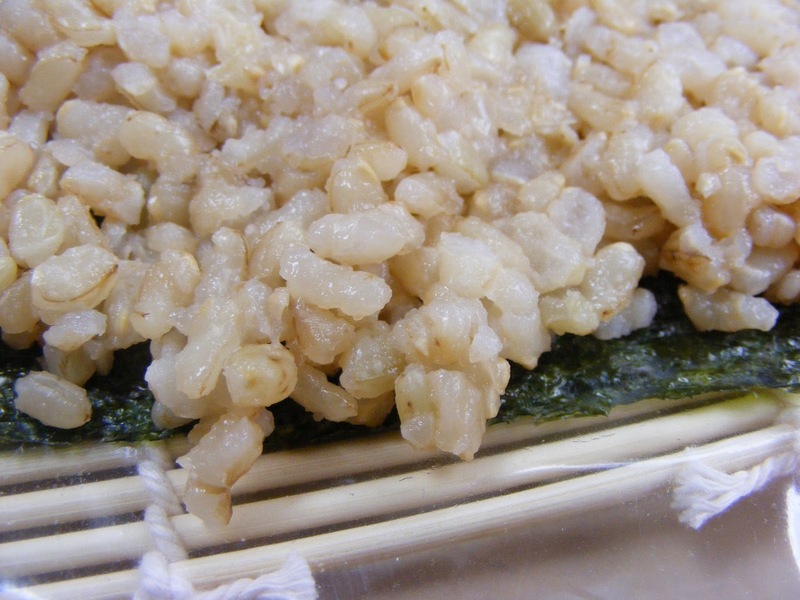 The best way to make sushi is to have the rice still warm, not hot. It rolls very nicely and sticks well. However, since this recipe makes A LOT of rice and it's kind of a bit time-consuming, I make the whole bag of rice and freeze the rice in portions in a freezer bag. 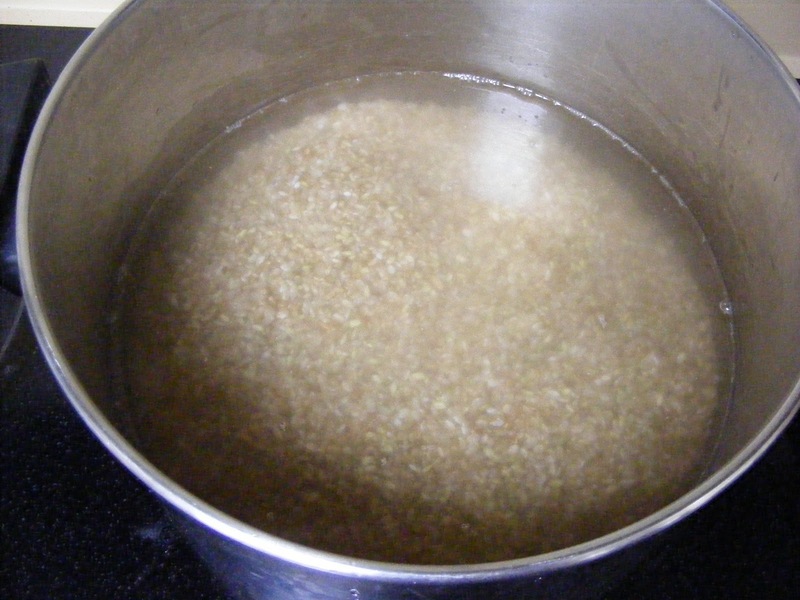 It was suggested on one of the sites that you should freeze the rice when still slightly warm so it retains it's moisture. I have successfully frozen and defrosted rice and then made sushi from it. 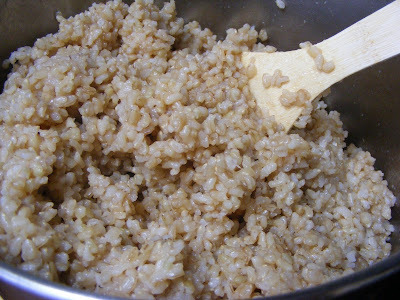 It's still a bit easier with warm fresh rice, but it works and saves you time in the long run. And we are all about saving time right? I guess I better go defrost a bag for lunch tomorrow. Coming up...how to make hand rolls, finally.